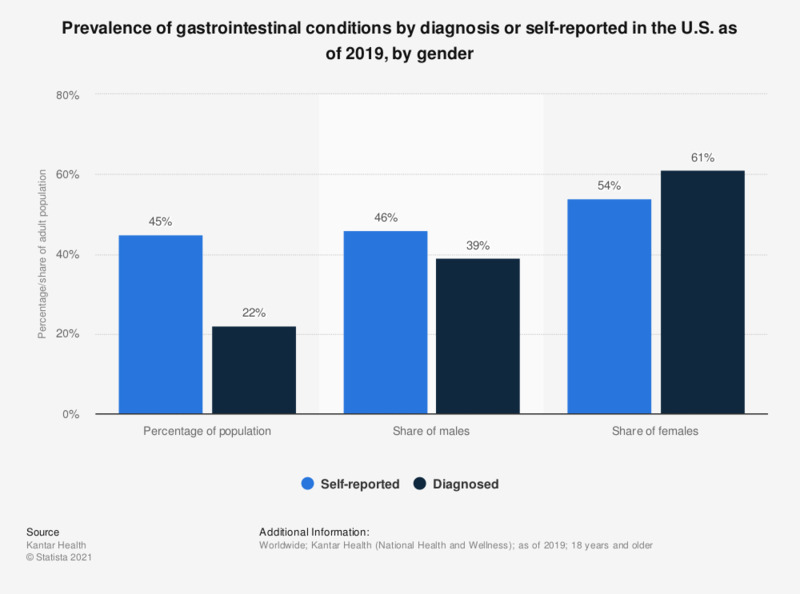 This statistic describes the percentage of the U.S. adult population that has been diagnosed with gastrointestinal conditions and those self-reporting the condition as of 2018, including a gender distribution. As of that year, 44 percent of the adult population reported that they had a gastrointestinal condition. Of these 55 percent were women. Do you think you will have (other) children?